FIG. 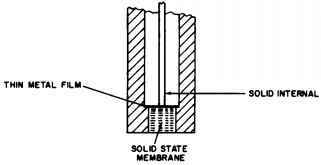 7.7.12 Solid-state membrane electrode. FIG. 7.7.13 Solid-state membrane electrode with solid internals. 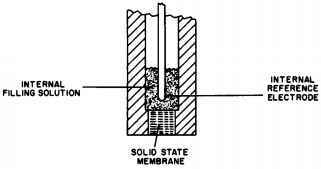 lution, in which the reference electrode is immersed, and an ion exchange reservoir of nonaqueous water-immiscible solution that wicks into the porous membrane. 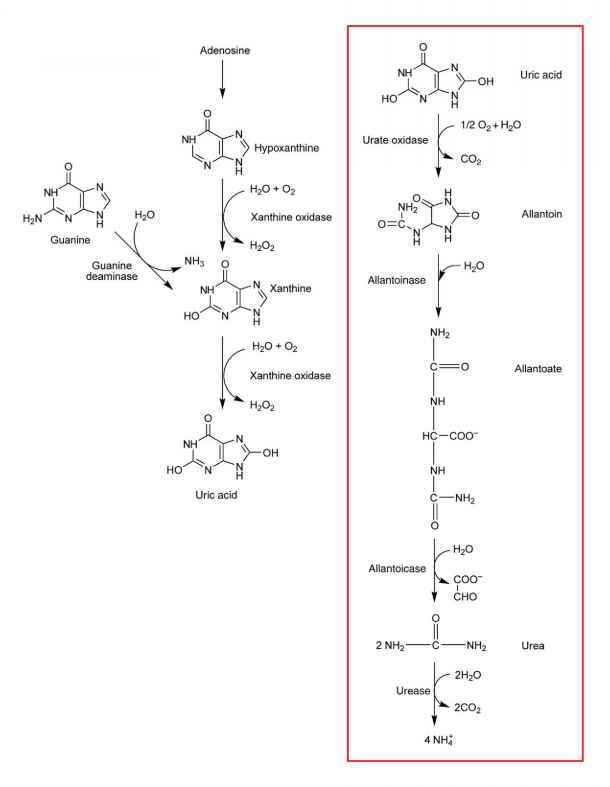 The bottom layer of the material is the unknown process solution, the center is the nonaqueous liquid ion exchange solution, and the top layer is the internal aqueous solution. The electrodes cannot be used in nonaqueous solutions because the liquid ion exchanger would dissolve. In the solid-state version of this probe, the ion exchanger is permanently embedded in a plastic matrix with a non-porous membrane.